No matter your reason for moving from New Jersey to San Antonio--whether for a career opportunity or family obligations--you’ll need the help of household movers that you can trust to make your life transition seamless. At Simonik Moving & Storage, we have been a trusted intrastate moving company since 1977 and we have the skills, experience, and credentials needed to complete moves of any size and scope, anywhere in the country. With our BBB accreditation, you can rest easy knowing that customer service is at the heart of everything we do. 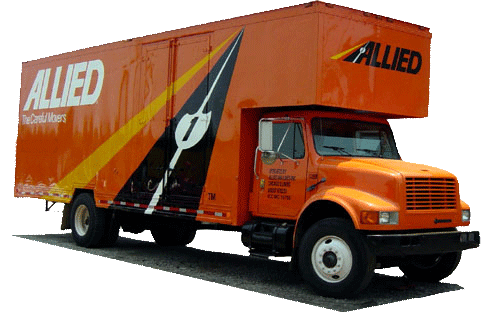 As an agent of Allied Van Lines, we have access to a network of hundreds of moving and storage professionals throughout the country which allows us to complete any move with ease. Even the best laid plans don’t always go perfectly and if your Texas home won’t be ready when you arrive, you’ll need somewhere to keep your belongings until you’re ready to receive them. That’s why we offer flexible short and long-term storage options in our state-of-the-art warehouse facility. Your items will be stored in secure containers designed for international shipments and we will keep them until you’re ready to complete your move from New Jersey to San Antonio. We provide household moving services to residents throughout Central and North New Jersey, including Hunterdon, Mercer, Middlesex, Monmouth, Morris and Somerset counties. With our ProMover status from the American Moving & Storage Association (AMSA) and “Mover of the Year” award from the New Jersey Warehousemen & Movers Association, you can trust that we have earned a stellar reputation as a reliable professional residential mover. Our comprehensive NJ to San Antonio moving services will make your move a breeze. Ready to learn more about what we can do for you? Give us a call today or fill out our online form to request your free, no-obligation moving estimate.